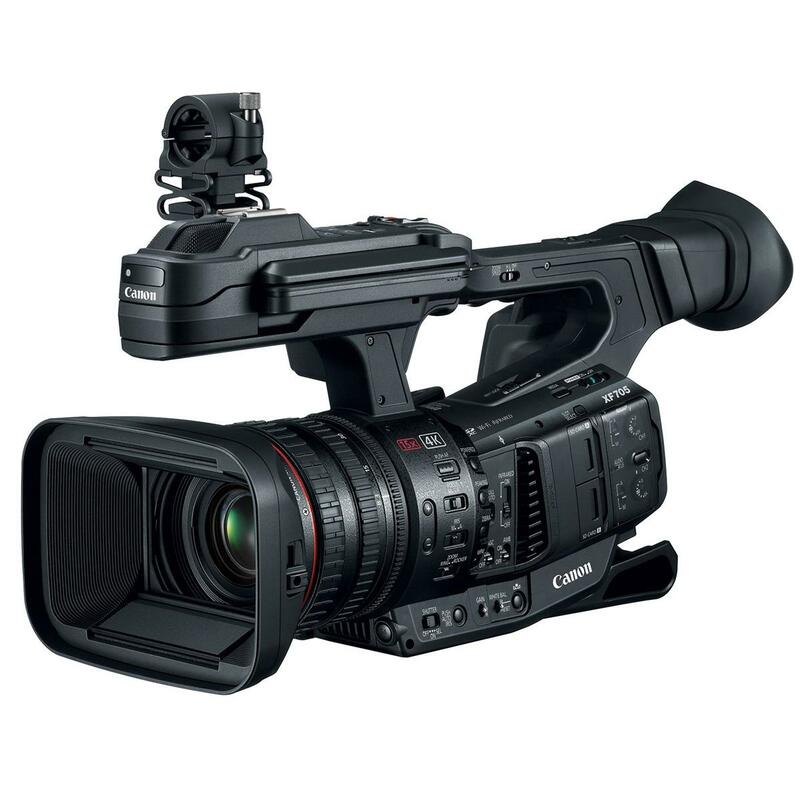 Canon UK has today launched the newest addition to its XF range of camcorders – the XF705. Equipped with the next-generation XF-HEVC format, XF705 offers 4K UHD 50P 4:2:2 10-bit recording to SD cards, with impressive image quality and superior levels of detail. Combined with a 1.0 type CMOS sensor and DIGIC DV6 processing, the XF705 delivers vastly improved noise performance, sensitivity and cinematic depth of field. With a host of enhanced HDR capabilities, including an advanced 12G-SDI interface and IP streaming, the XF705 is poised to revolutionise UHD HDR production workflows for the better. Underpinned by High Efficiency Video Codec (HEVC) video compression, and leveraging the industry standard Material eXchange Format (MXF) as the container, Canon has developed the XF-HEVC file format. HEVC offers a newer encoding technology that is about twice as efficient as mainstream H.264/AVC. By using XF-HEVC the XF705 streamlines the handling of 4K UHD data, offering the ability to record high-quality 4K UHD 50P 4:2:2 10-bit files directly to widely available SD cards.